Neil brings to clients a pragmatic approach and a reputation for making things happen. He works in highly valued landscapes, designated sites and special conservation, balancing his approach with the realities and economics of working on the shop floor. Neil brings many years of experience of dealing with a wide range of rural issues in both private and public sectors. 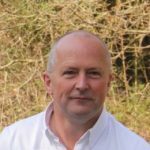 As a Mechanical Engineer, he worked in Fertiliser R&D in the UK and South Africa and has more than 25 years of Partnership delivery in Landscape, Wildlife and Archaeological Conservation and Tourism. Neil is a Managing Partner of Future Environomics LLP, securing grants and project delivery for both Marine and Terrestrial Producers and Managers. He is also a partner in the UK and Ireland distributorship of LINN Lake and Waste Water Aerators and Fish Farm equipment. Neil ensures clients do what they have to do, in order to find ways to do what they’d like to do.